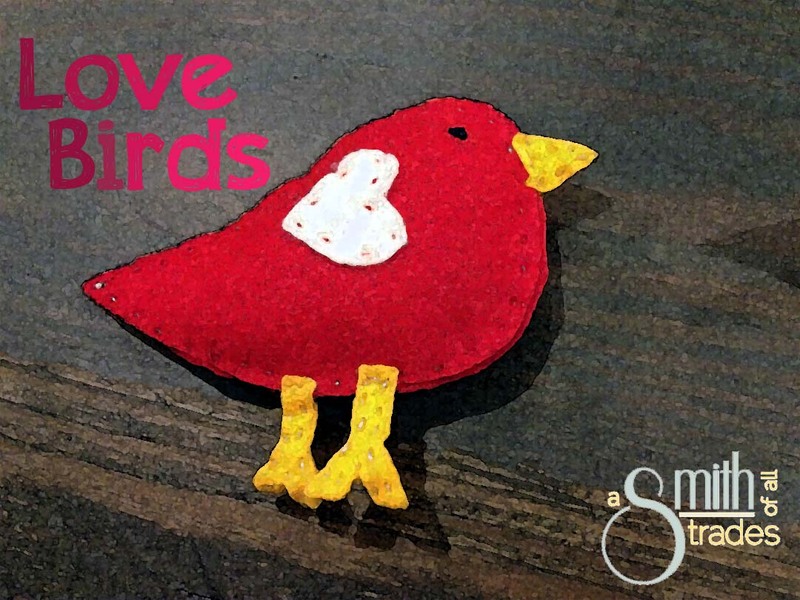 I love birds and I love Valentine’s Day, so naturally I would do a bird-themed craft project for the Feb. 14 holiday. While Valentine’s Day is still a month away (a month to the day today! ), I wanted to get started early on the few projects I have planned so the decorations can be out an about for a bit. I only have one Valentine’s Day decoration — a cute wreath my step mom made me — so I need just a few more things around the house. As I sat down to watch the football game last night, I got out my sewing kit and a few pieces of felt. 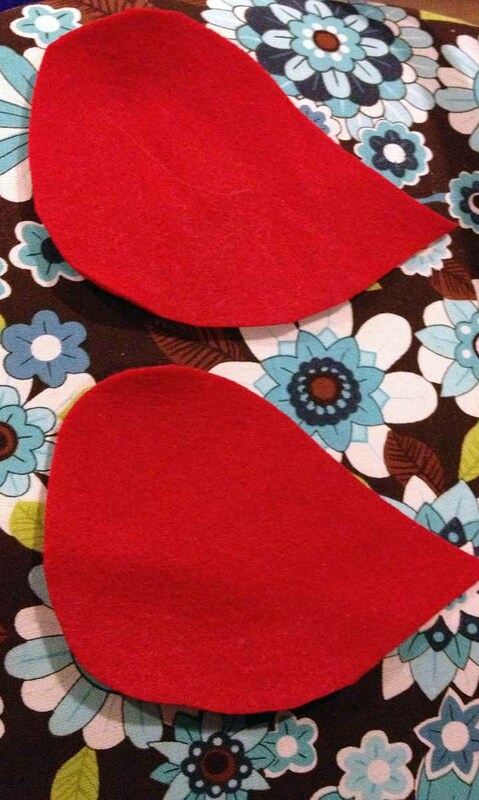 To start on my love birds, I cut out two pieces to make the body. 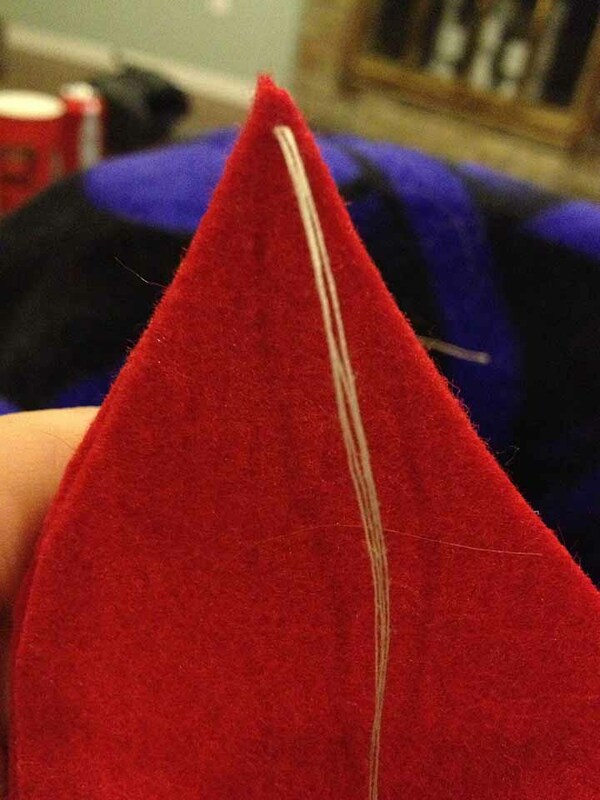 Then, I starting stitching around the outside of the body. 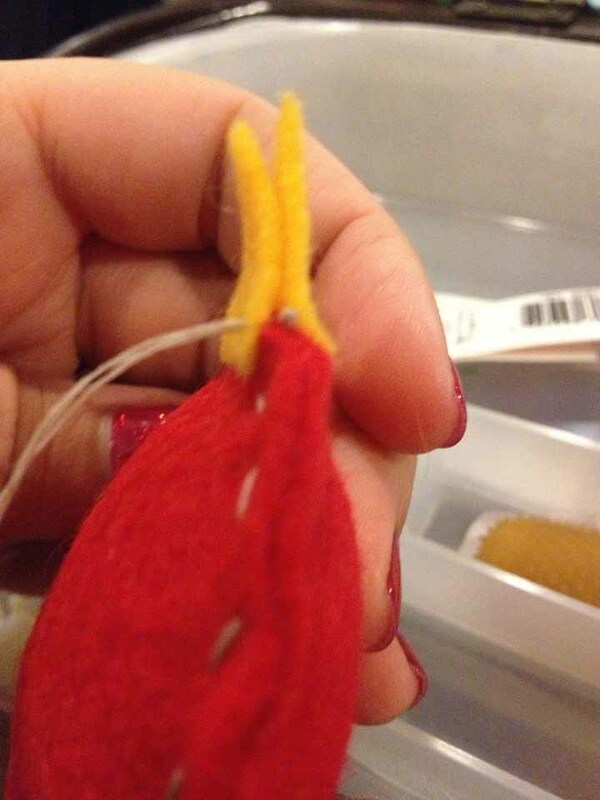 I doubled up the thread so it would show more on the stitching. 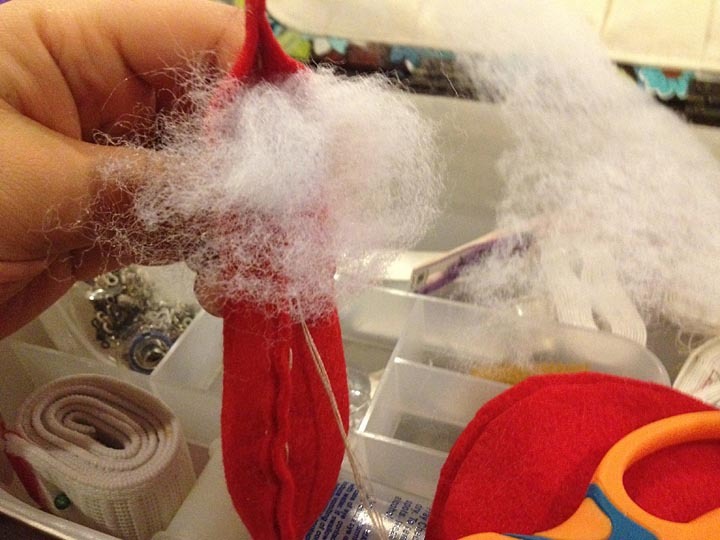 I kept stitching all the way around the body until there was a small slit open by the tail. I stuffed the body using some leftover batting. 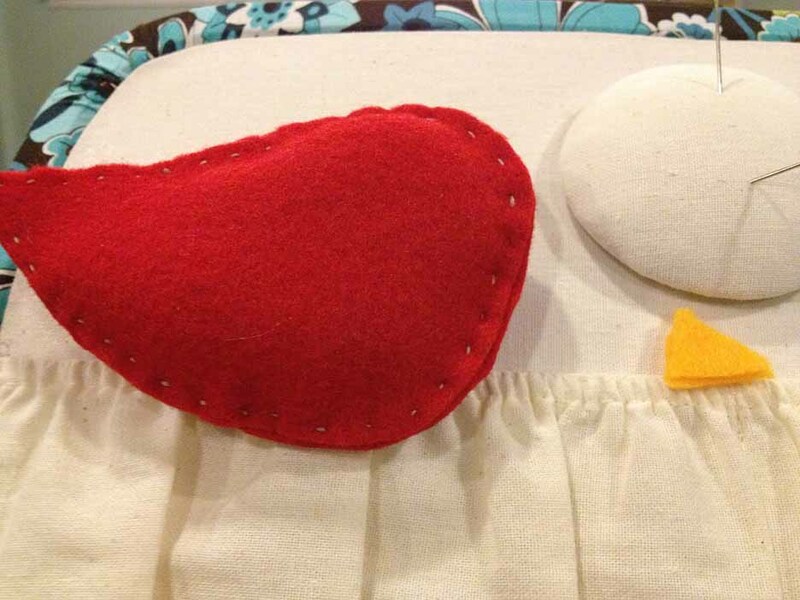 Once it was all stuffed, I sewed the remainder of the body closed. Time to add the rest of the pieces! 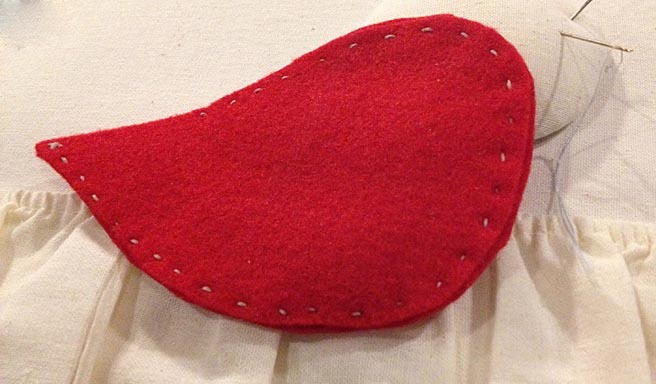 I cut out a beak, wing and feet, and sewed each piece to the bird. For the wing, I used a heart!!! 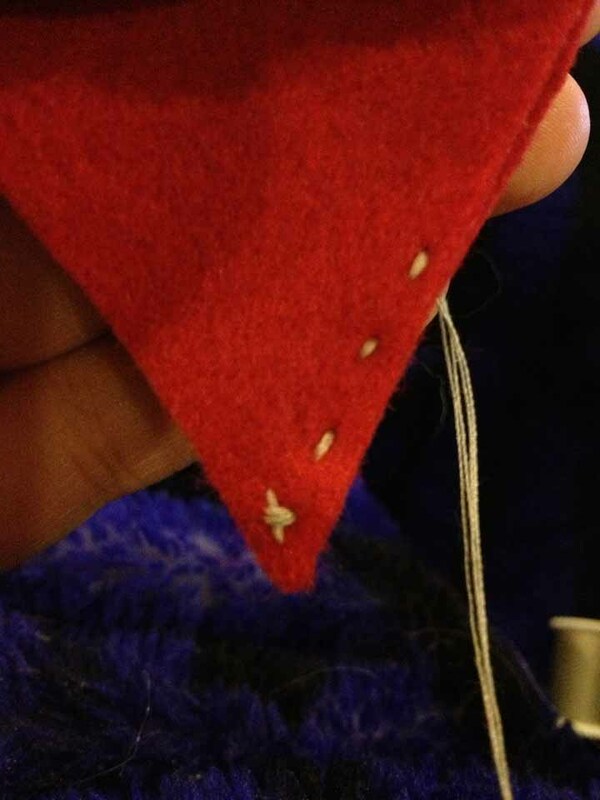 Lastly, I added an eye using thread. The red bird is for my hubby. Then I made a white one for me! 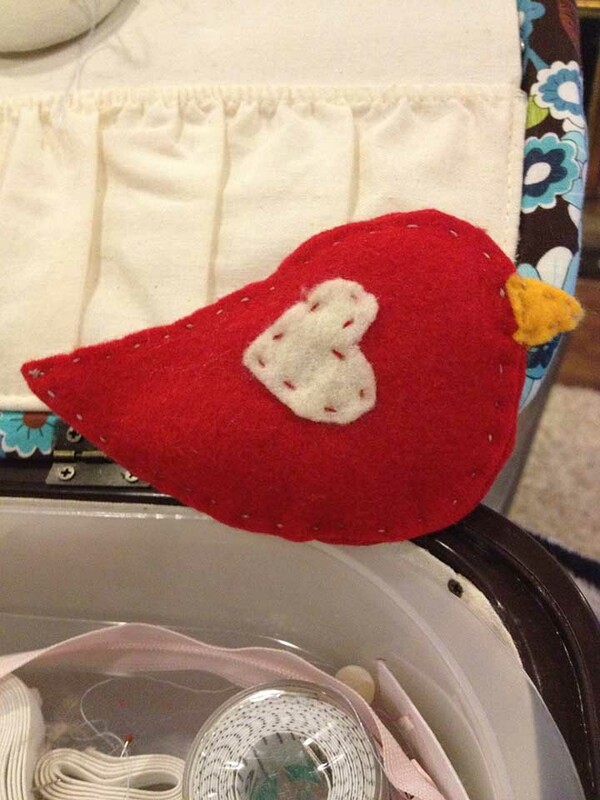 For the second bird, I sewed all of the extra pieces on first. … the beak, the wing, the feet and the eye. That was a lot easier. All in all, it took me less than two hours to make these two love birds. 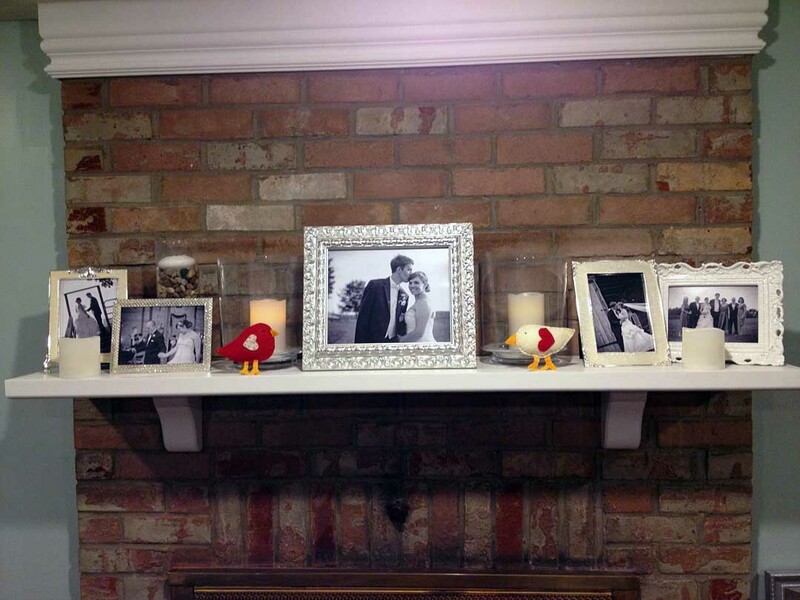 Now they are sitting on our mantel — the first of the Valentine’s decor for our house.